Accountability - Your not on your own as you will get HELP from a coach that has helped hundreds of people look, feel, and perform better! You will also have 4 meeting with the group as well as a private facebook page to help hold you accountable. Nutrition - Learn what, when and how to eat to get the fastest (and healthiest) results possible. All you have to do is "follow the darn instructions." Nutritional products - Kick Start your body ensuring your body is filling in the voids and nutrition gaps that we all have in our diets. 1. Without having the KNOWLEDGE of knowing how put a complete nutrition and wellness program together, people will continue to keep spinning their wheels over and over again trying the "next new thing" to help them lose weight, have more energy and be more productive. 2. People do not have a WORKABLE PLAN OF ACTION to help them get started. Many people have great intentions of losing weight but simply don't have an ACTION PLAN to help them achieve their goals. We call this the "Follow the Darn Instructions" plan because this Challenge will give you tools and directions for each day. We're gearing up for our next Group 24 Day Challenge in Coppell - It's our Back to School Challenge. What kind of results can you expect? Expect to be challenged, inspired,﻿ motivated, supported, coached, educated, and trained by one of most elite and professional teams of fitness experts available.Expect to set and achieve goals, gain a new found level of confidence in your body and your overall self as a whole.Expect to change physically, mentally, and emotionally. Expect to be better. To be more. Because it WILL happen. You'll see a better, more ﻿fit and functional you in just 24 Days. 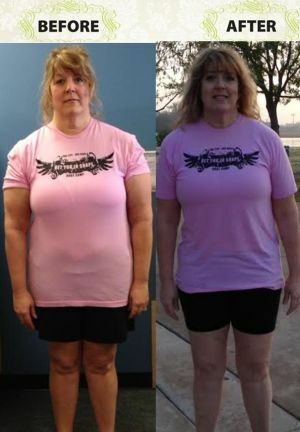 “I have lost weight! 23.2 lbs total, 12.4 lbs in the first 4 weeks and an additional 10.8 in the remaining 6 weeks. More importantly – I feel better. I have also stopped drinking massive quantities of coffee. I am sleeping better at night as well. I have a renewed desire to be physically fit and active!” Liz C.
I'm Ready! Sign Me Up! Help Me Slim Down This Fall! What Is The Group Back to School Group 24 Day Challenge? 1.. The Back To School 24 Day Challenge is a proven that gives you a structured, personalized nutrition coaching program - no more guess work about weight loss and fat loss. Just the health and fitness results you want in the shortest time possible. 2. The Back To School 24 Day Challenge gives you coaching and accountability - installing into your mind and your life the fitness and nutrition habits for rapid improvement. 3. The Back To School 24 Day Challenge gives you group support from the other participants. You will enter into a community of like minded individuals with goals and desires that match your own. Together, as a team, we move forward (there is awesome power in this group experience). 4. The Back To School 24 Day Challenge gives you a hard target to shoot for. We are not the least bit interested in moderate, lukewarm, plain vanilla results. 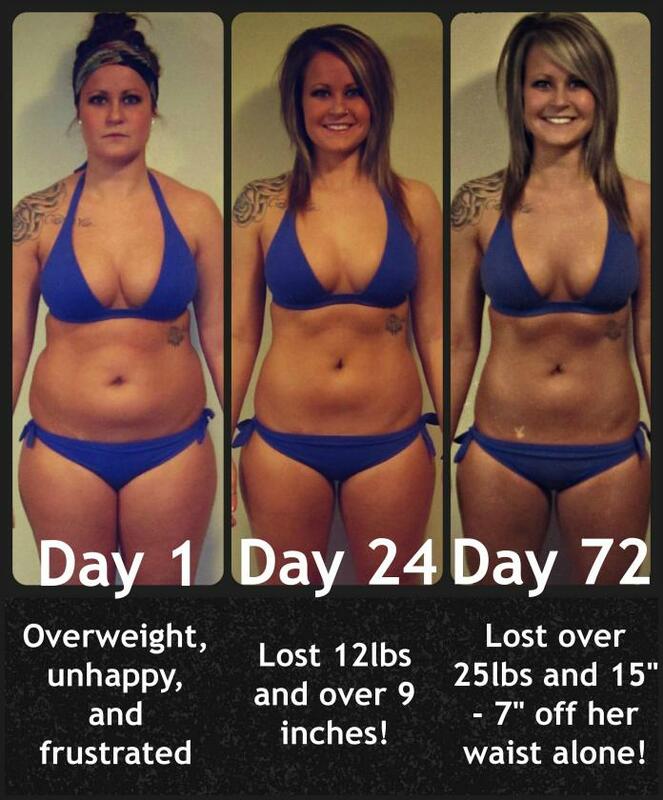 This is about dramatic, body transforming, life changing results ... in just a few short weeks. 6. 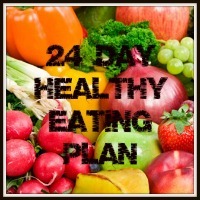 The Back To School 24 Day Challenge gives you the change and improvement you want! 7. But most of all, the Back To School 24 Day Challenge gives you new confidence each and every day that you are taking full and complete control over your health, fitness, body, and life. That confidence snowballs and compounds with each passing day. You come out the other end after just 24 Days with a new body, a new outlook, and a new passion for life. 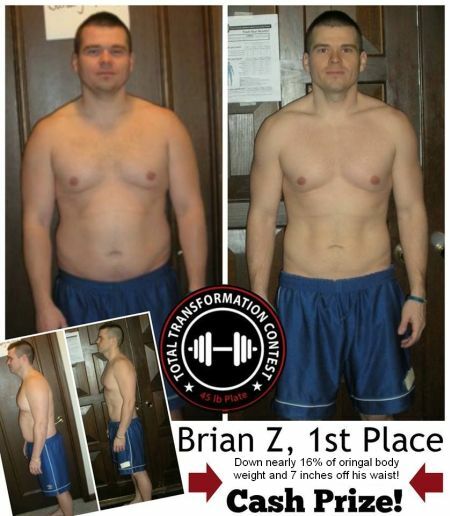 “I AM SO EXCITED AND NEVER THOUGHT I WOULD SEE THESE NUMBERS AGAIN ON THE SCALE!” Our 2nd place winner in the Transformation Contest has accomplished big things. 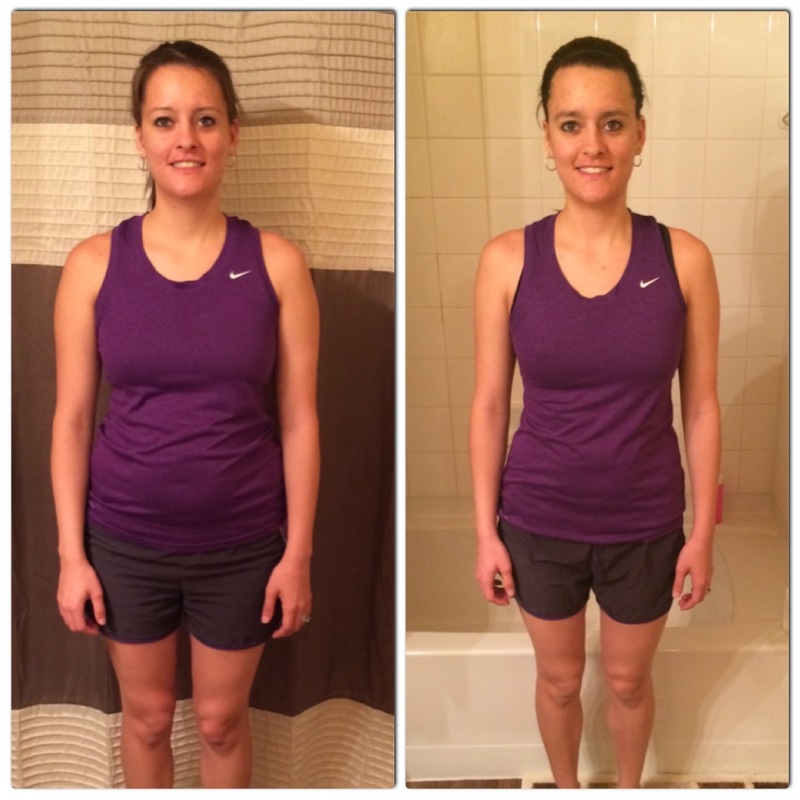 Tara S. lost 20 Pounds, 18 inches and 8.30% body weight in 10 weeks. Tara S.
The Back To School 24 Day Challenge is a coaching program designed to cover everything needed to make lasting changes. We work together, as a team, for 24 Days to move you step by step toward your goal. If you encounter obstacles we are here to help you overcome them. It will be done by participants all over the country as all the support needed, coaching needed, and tools needed are provided through a private website, phone, and email. If you are in the Dallas area you will have a chance to come to a Kick Start meeting in Coppell, September 3rd at 7:30pm but it will not be required (you will be given all the details when signing up). Initial measurements and pictures will be taken to establish a starting point. 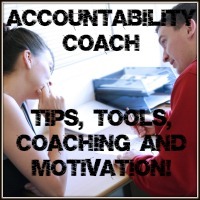 You will be “coached” throughout the program with an Accountability Coach. Their responsibility is to check in with you and work through any obstacles you may experience. You will also have group support through a private facebook page. This is a team effort, so we are here to support one another and make sure everyone wins. Accountability is key to making this program work. You will receive calls, emails, text messages, and have access to a group that you can rely on to make sure you are staying on track. At the end of 24 Days we will take a final measurements and weight. 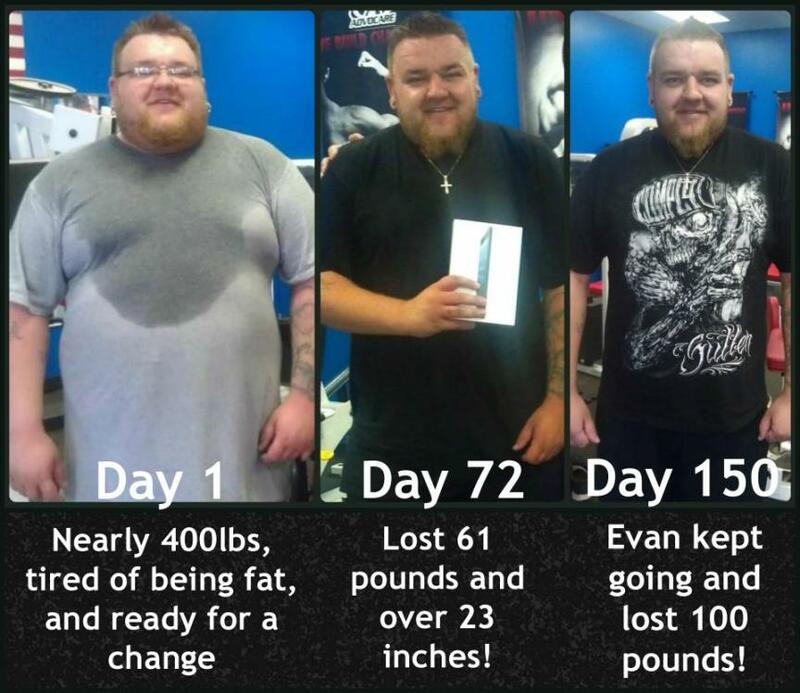 Evan lost 61lbs and dropped 23 inches in just 10 weeks! Evan did great things in 10 weeks. 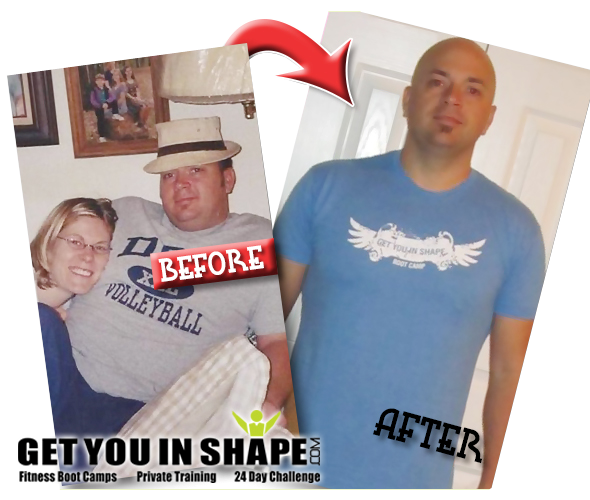 Then in just 5 months, he went on to lose a total of 100lbs using what he had learned during the Total Transformation Contest! What is included in the Back To School 24 Day Challenge? Nutrition Guide Book: This gives you step by step information. Included in this book are nutrition tips, a restaurant guide, a grocery list, success tips, healthy recipes, and a nutrition FAQ section to answer any questions that may come up. * 3 Group Meetings – Kick Start Meeting, 1 coaching meeting during and the final meeting to get weighed and measured, go over "what’s next" and to help you with customizing a long term plan to help you reach your goals. * 24 Day Nutritional Supplement Program: You will start off on the 24 Day Nutrition System which is a comprehensive supplementation program. This program gives your body the jump start it needs to help you reach your goals. It is designed to feed lean muscle and create an environment in your body where fat can be used as fuel. Sugar and fat cravings will be reduced. Your appetite will be under control and your energy levels will be consistent throughout the day. This program fills in the gaps that your daily nutrition misses. 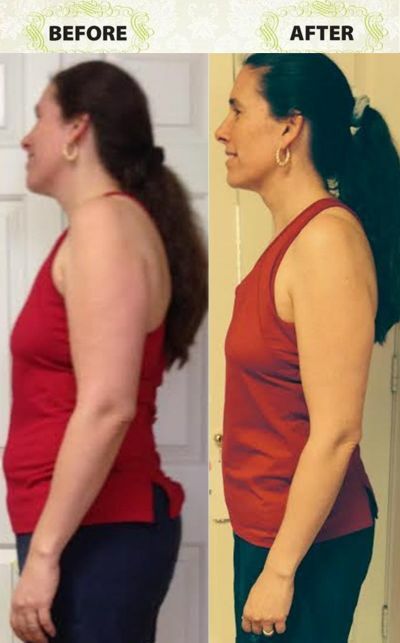 ​I lost about 10 pounds in the first 24 days and a total of 23 pounds in the 72 days. I lost over 21 inches. I fit into clothes that I haven’t worn in years. I feel great too! What all is included in the Back To School 24 Day Challenge? * 3 Group Meetings – These are designed to put you in a positive environment that will help create motivation, encouragement, inspiration and accountability. How Does The Back To School 24 Day Challenge Work? The Challenge is a coaching program designed to cover everything needed to make lasting changes. We work together, as a team, for 24 Day to move you step by step toward your goal. If you encounter obstacles, we are here to help you overcome them. If you are in the Coppell and Dallas area, we will have a kick off meeting September 3rd that will cover the program, tools, get you weighed and measured, and give you all the directions to get started. We will make sure you can attend the meeting or if you are outside the Coppell and Dallas area, we will contact you and get you started after signing up. If you can't come to the Kick Off Meetings, we will contact you when you sign up to set up a time to go over the program. If you already know you can't come but want to participate, please sign up and just contact us after you receive the email from us. Sign up is now until September 5th and everyone starts September 7th. We are only accepting the first 20 sign ups. You will then receive all of the details. At the end of the 24 Days all your measurements and weight will be taken one final time. The Back To School 24 Day Challenge is for men and women aged 18-80 who want significant, measurable body-changing results in just a few weeks. If you want your best body, best performance, and best health, this is the system for achieving it. It's also for people who are looking to re-boot their health and fitness and are looking for an awesome support group to help with motivation, accountability and encouragement. You are welcome to tell your spouse and friends about this program and have them apply as well. The Back To School 24 Day Challenge is a comprehensive program combining nutrition, supplementation, exercise, and accountability. This system creates far greater results than any of the individual components can on their own. Add in the social support (from your fellow contestants) and then throw in some friendly competition, and ... watch out! Results come fast. What is the Back To School 24 Day Challenge? The Back To School 24 Day Challenge is a proven program that gives you a structured, personalized 24 Day nutrition and wellness program- no more guess work about weight loss and fat loss. Just the health and wellness results you want in the shortest amount of time. 2. The Summer Slim Down Challenge gives you coaching and accountability - installing into your mind and your life the fitness and nutrition habits for rapid improvement. 3. The Summer Slim Down Challenge gives you group support from the other participants. You will enter into a community of like minded individuals with goals and desires that match your own. Together, as a team, we move forward (there is awesome power in this group experience). 4. The Summer Slim Down Challenge gives you a hard target to shoot for. We are not the least bit interested in moderate, lukewarm, plain vanilla results. 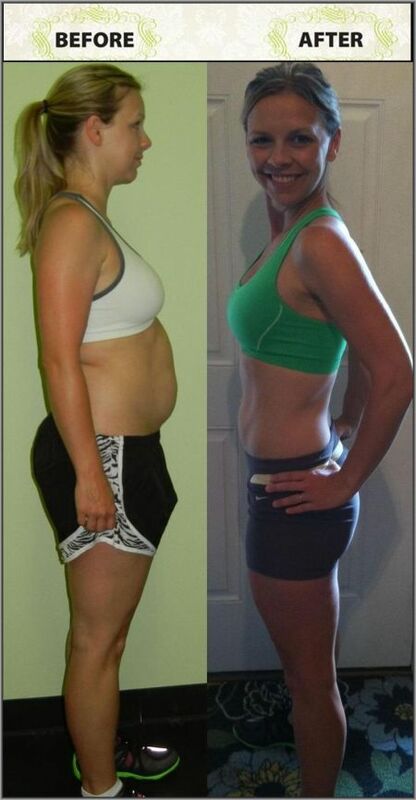 This is about dramatic, body transforming, life changing results ... in just a few short weeks. 5. The Summer Slim Down Challenge gives you big rewards for your efforts, even beyond the physical and emotional changes you will make. Those who make the most significant improvements, will have the chance to win over $250 in cash and prizes! 6. The Summer Slim Down Challenge gives you the change and improvement you want. 7. But most of all, the Summer Slim Down Challenge gives you new confidence each and every day that you are taking full and complete control over your health, fitness, body, and life. That confidence snowballs and compounds with each passing day. You come out the other end after just 10 weeks with a new body, a new outlook, and a new passion for life. What can I expect with the Back To School 24 Day Challenge? 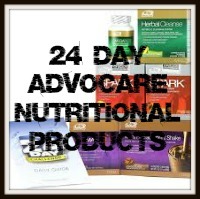 ​The ONLY COST of the program is just your the nutritional products. All of the tools, coaching and support are free to you. Our mission is to change the health and fitness of this nation one persona at a time. We do that by getting you "see it in the mirror" results. Your friends and family will be encouraged to do what you are doing by seeing you reach your goals. That in turn helps us impact more lives and therefore helps us take one step closer in fulfilling our mission. There will be 3 different options for you to choose from a basic option to an option with more product benefits. The basic option, though, comes out to about $55/week. We will go over this over the phone when you sign up or at the Kick Start Meetings.